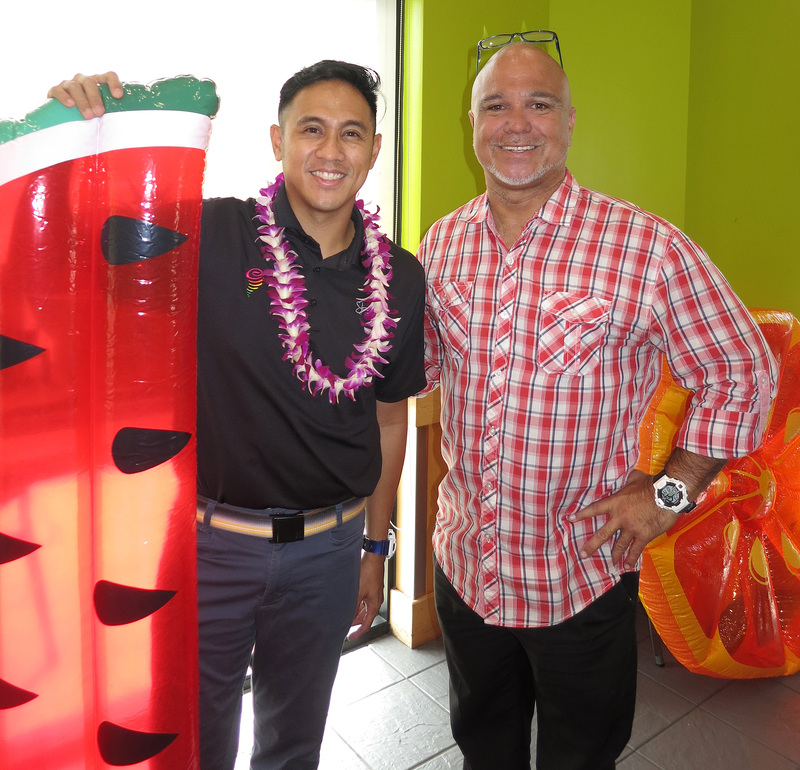 May 23, 2017, Honolulu – Jamba Juice Hawaii officially introduced their new collagen-boosted watermelon smoothies, and their signature acai bowl at an exclusive, media-only Summer Health event, held this morning at their Ward Gateway location. 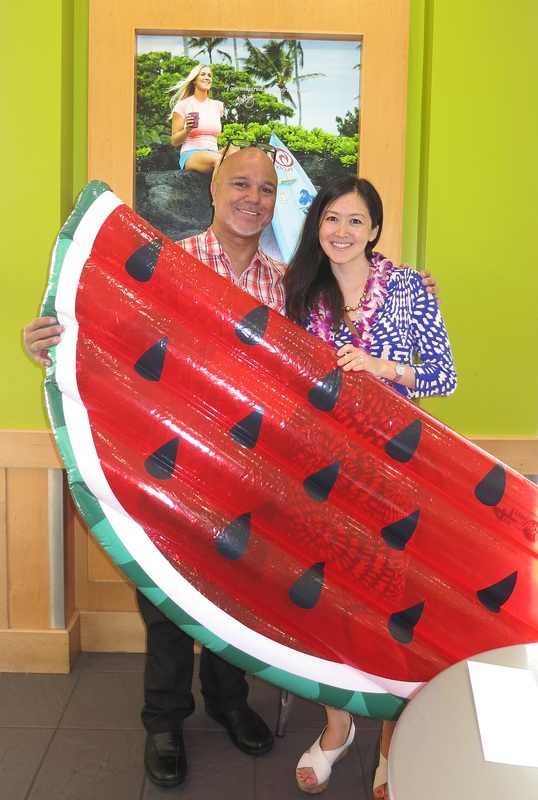 Following this formal introduction, their new Watermelon Breeze and Watermelon Splash smoothies with Collagen will now be available at all Jamba Juice Hawaii locations. 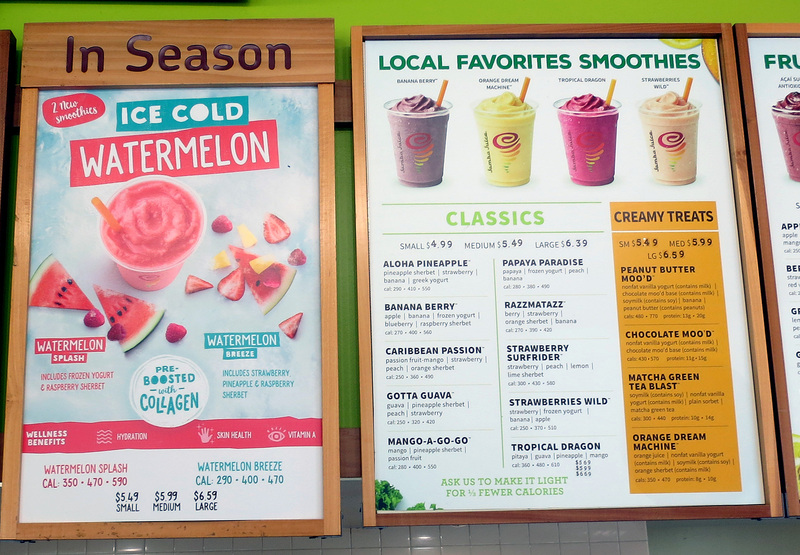 Watermelon, a refreshing, cooling summer staple, is the base of two new smoothies: Watermelon Splash and Watermelon Breeze. Rich in antioxidants and proven to prevent and reduce muscle pain, water comprises over 90 percent of this vitamin- and electrolyte-filled fruit, making it the perfect choice to stay hydrated. 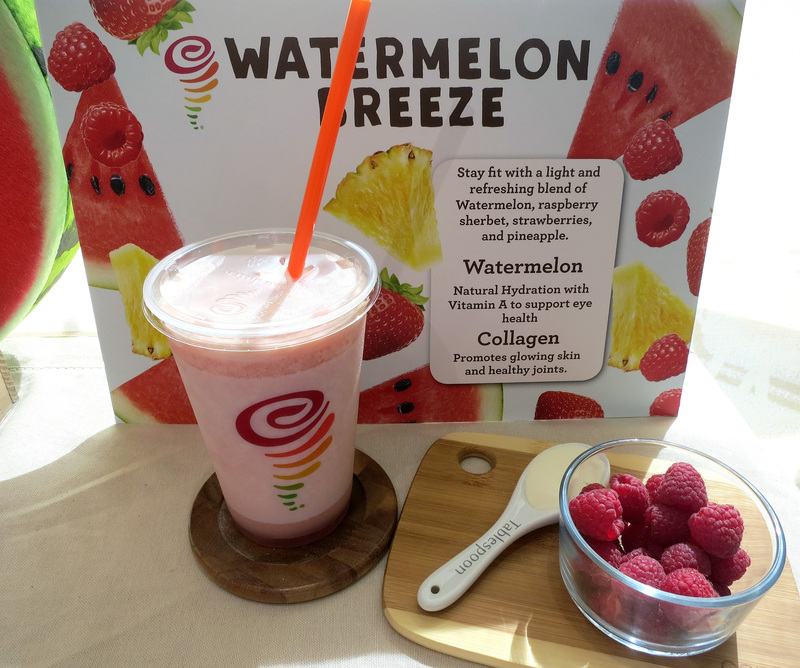 The real star of these smoothies is the collagen boost. One of the hottest health and beauty trends in Asia, this naturally occurring, regenerative protein has been shown to promote youthful, glowing skin by helping to retain firmness and elasticity. In the United States, collagen has been primarily used as a topical treatment or filler, but is on the verge of explosive growth as a food supplement. Beyond its beauty benefits, collagen makes up 30% of total protein in the body, protects against bone loss, and supports healthy joints and connective tissue. 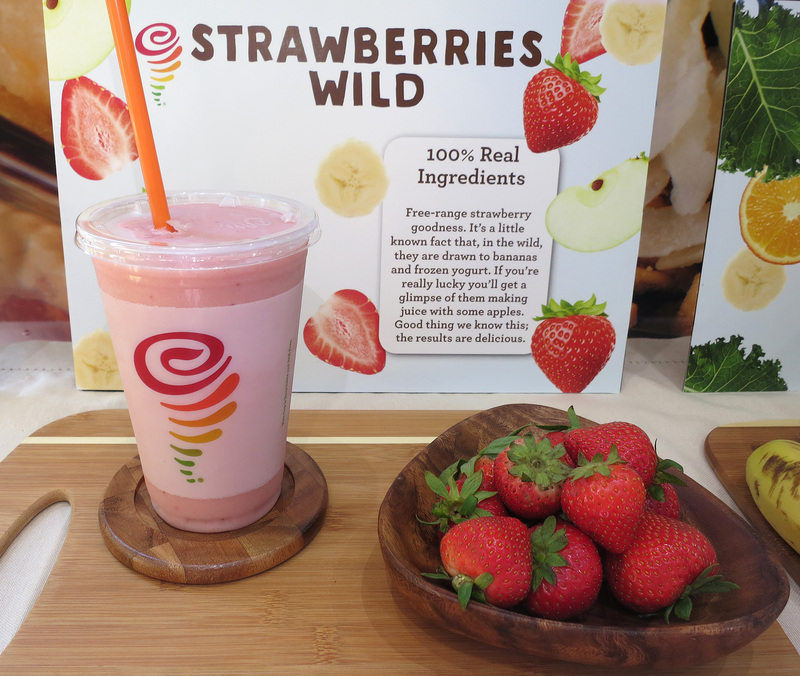 Attendees will hear about research on the incredible qualities of collagen, why it’s the next big thing, and why Jamba Juice has chosen to feature it as a boost. According to NationalGeographic.com, “Drinking watermelon juice before a hard workout helped reduce athletes’ heart rate and next-day muscle soreness.” While Vogue.com proclaims, “It’s collagen, the most abundant protein in the human body, that gives strength and structure to our bones, muscles, skin, and tendons.” Those benefits surely will help nourish the body during the upcoming brutally hot and sunny summer months in the islands. 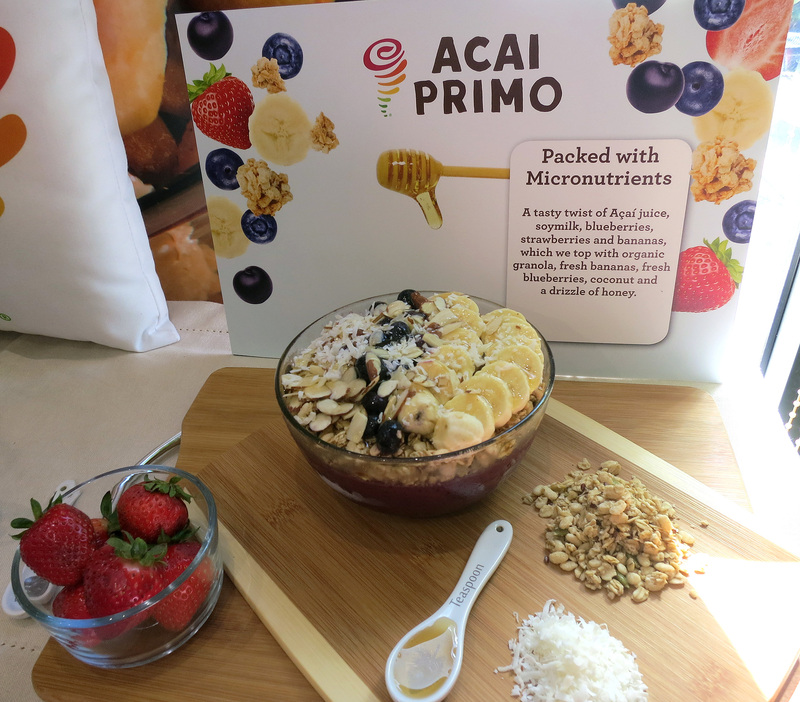 The Acai Primo Bowl, originally created at the Jamba Juice Hawaii Ward location well before the current acai craze, is now sold in 900 Jamba Juice locations worldwide. 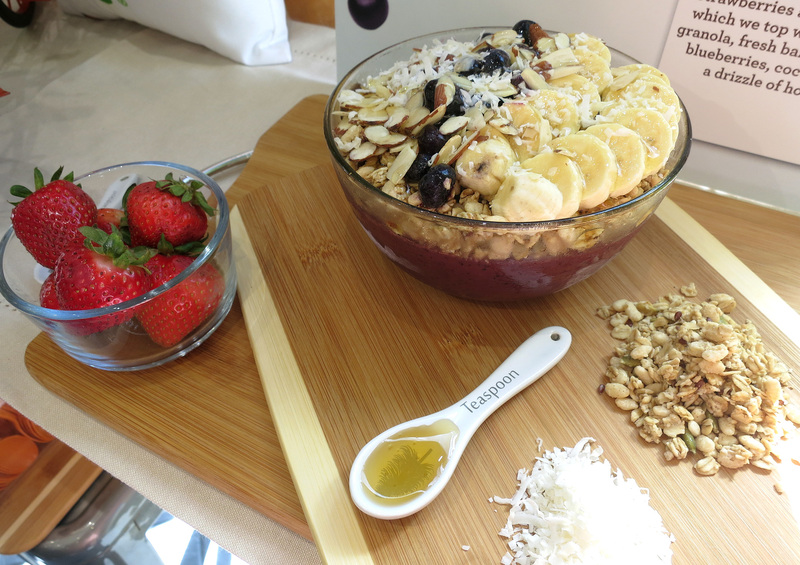 This popular, nutrient-rich bowl is all-natural, free of preservatives and artificial flavors, and loaded with antioxidants, fiber, vitamin C and iron. 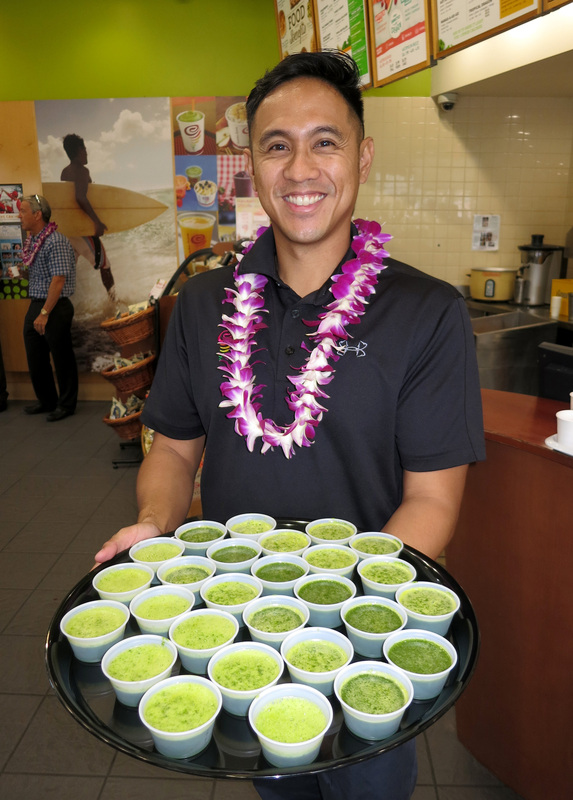 In a rare and exclusive opportunity, Summer Health Event attendees were also offered samples of Jamba Juice Hawaii’s secret underground menu—items that you didn’t know existed, but are available to order for those in the know. 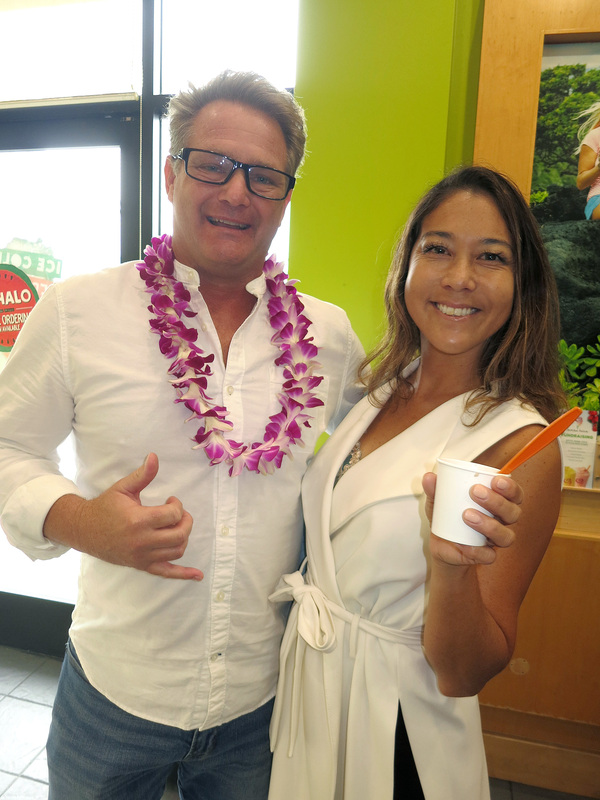 Acai Primo: the Acai bowl, originally created at the Jamba Juice Hawaii Ward location well before the current acai craze, is now sold in 900 Jamba Juice locations worldwide. This popular, nutrient-rich all-natural dish is full of health benefits, while being free of preservatives and artificial flavors. And? 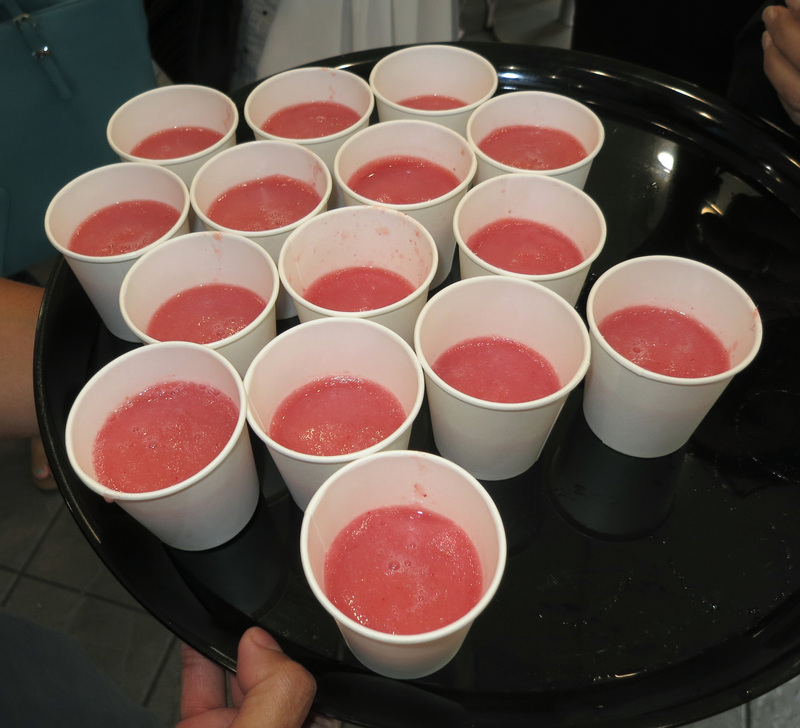 The highlight of the event, their new collagen-boosted Watermelon Breeze and Watermelon Splash smoothies were both absolutely delicious. 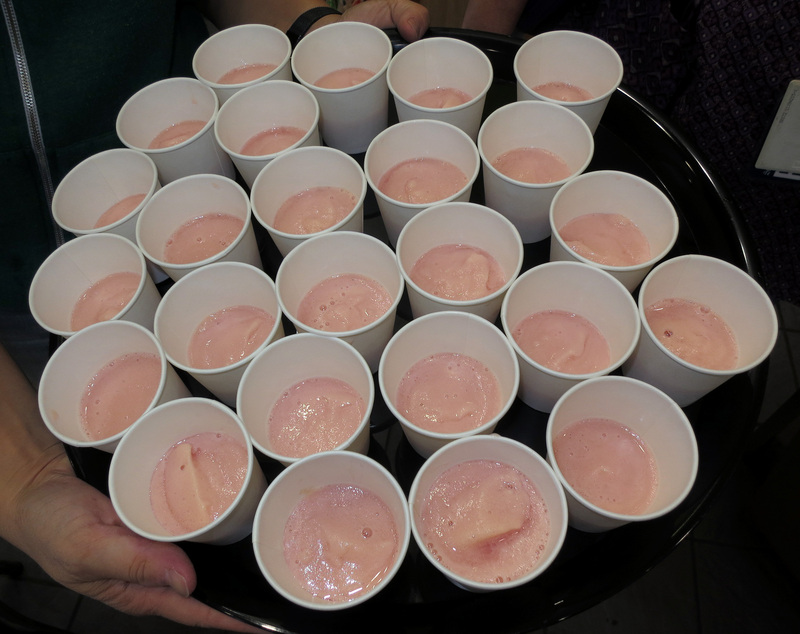 They also both, as advertised, tasted predominantly like ice-cold watermelon, with the other ingredients mostly there to augment that taste. 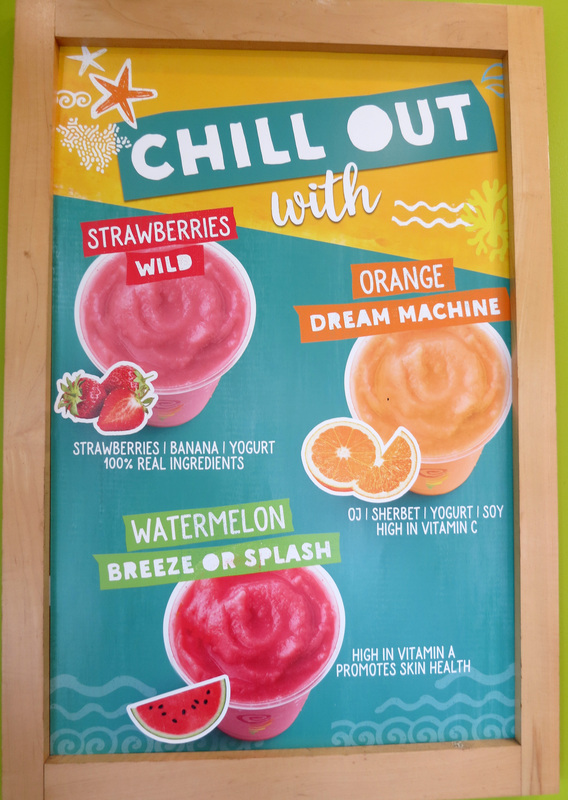 My favorite of the two being the Watermelon Breeze because of its pronounced creaminess, thanks to the abundance of fat-free yogurt also in it. 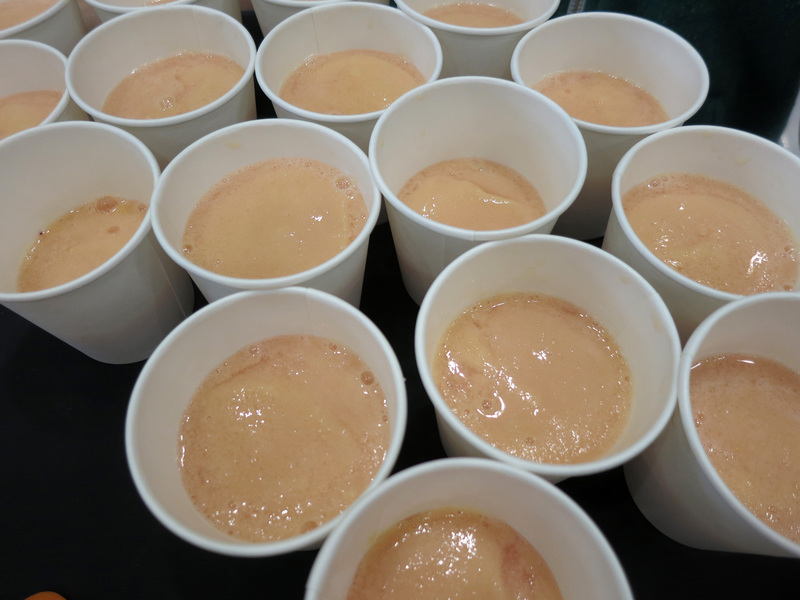 While that collagen boost didn’t make my lips plump up, or the fine aging wrinkles on my face suddenly disappear (lol), downing a few sample cups of these sure did revitalize and refresh me at this early morning event! For realz! 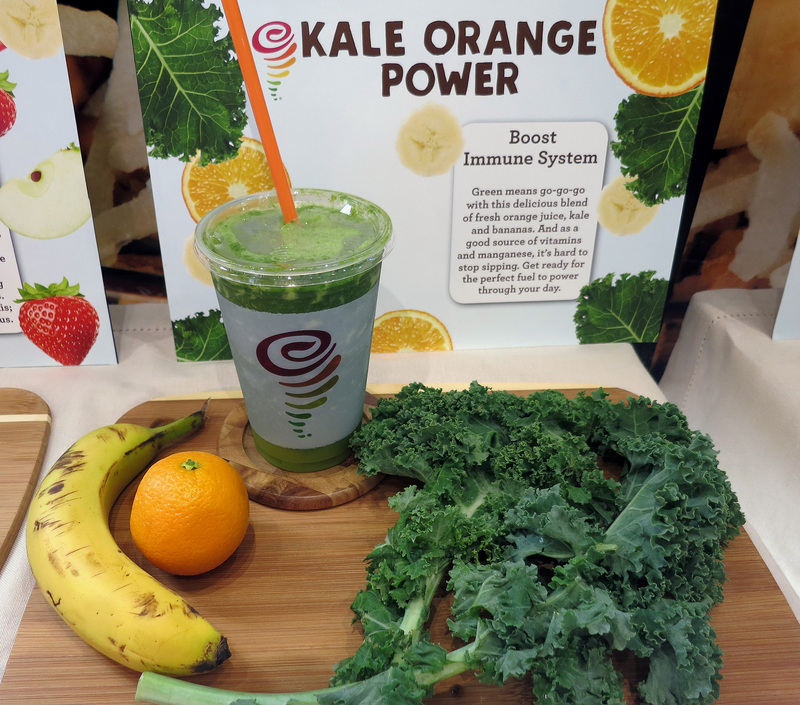 The Kale Orange Power tasted mostly like natural orange, making its distinct green color from the kale seem rather odd. 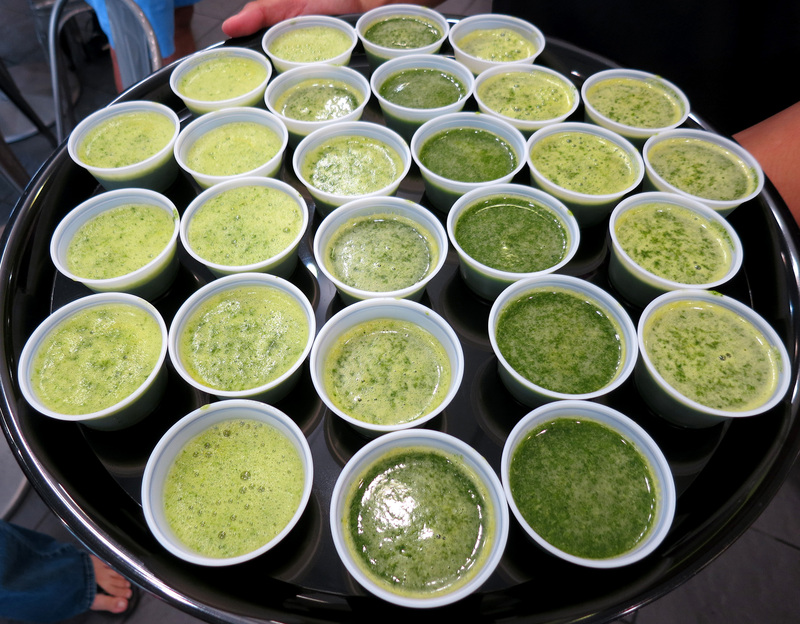 If you closed your eyes, you’d hardly, if at all know there’s Kale in it. Which I suppose is a good thing if you don’t like the taste of dark leafy greens, while still being able to reap the health benefits of it (high in fiber, iron, vitamin K and anti0xidants). 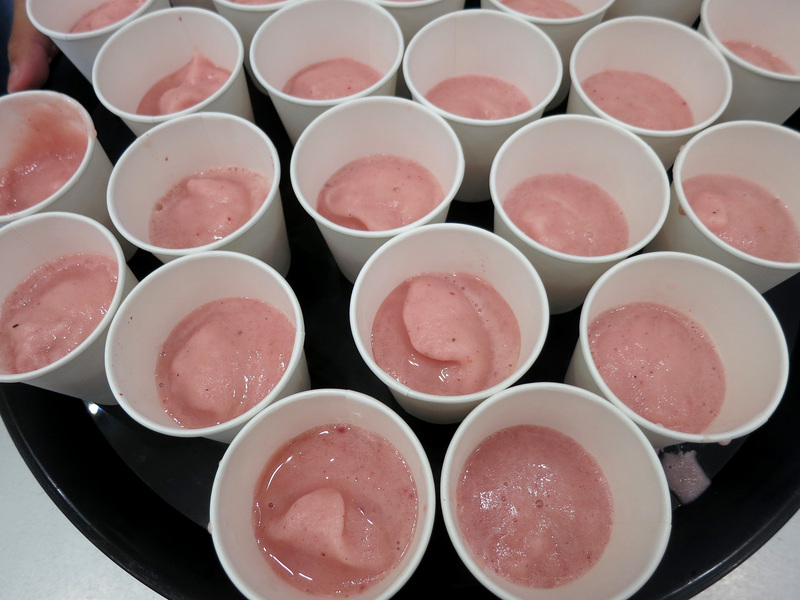 Being a juice blend, it was much thinner in viscosity than the fruit smoothies (obviously). 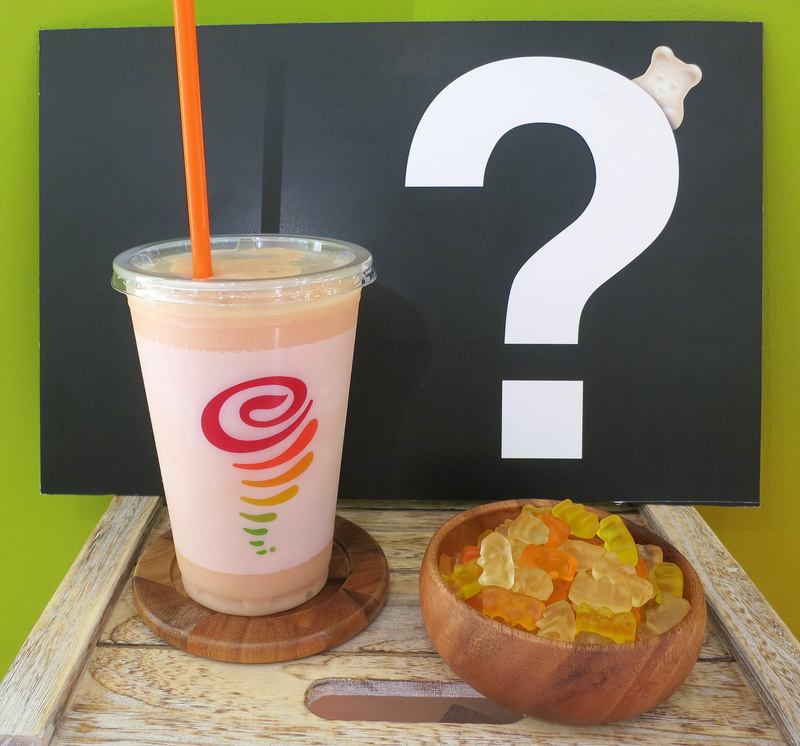 The Gummy Bear Smoothies, part of their “underground menu” was “interesting”. It actually tasted like Gummy Bears in a “Yeah, that’s what I’m tasting” way, while being sort of naturally-flavored as well, I’m guessing being there was real fruit in there as well. But it still tasted the most candy-like of them all, and one the keiki will likely prefer for that reason. It would’ve been nice if it had a “squishy” texture like Gummy Bears, however as it was, being very thick in viscosity, that works. 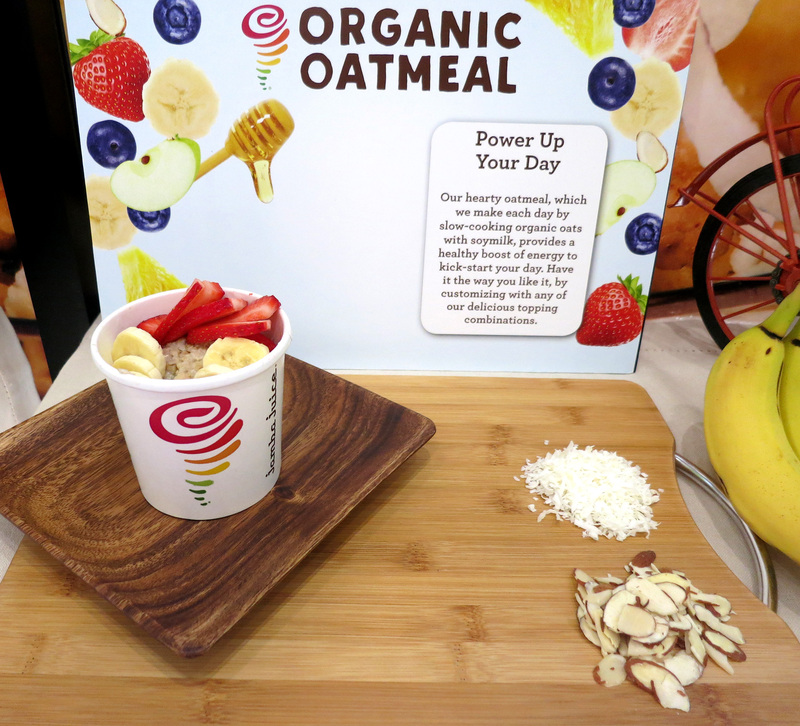 The Organic Oatmeal arrived in sample cuts quite hot, making it a nice ‘n hearty contrast to the ice cold smoothies we were enjoying throughout the morning. Otherwise, it tasted as advertised, no more, no less. I was diggin’ it, especially with the fresh blueberries and swirl of honey in it. 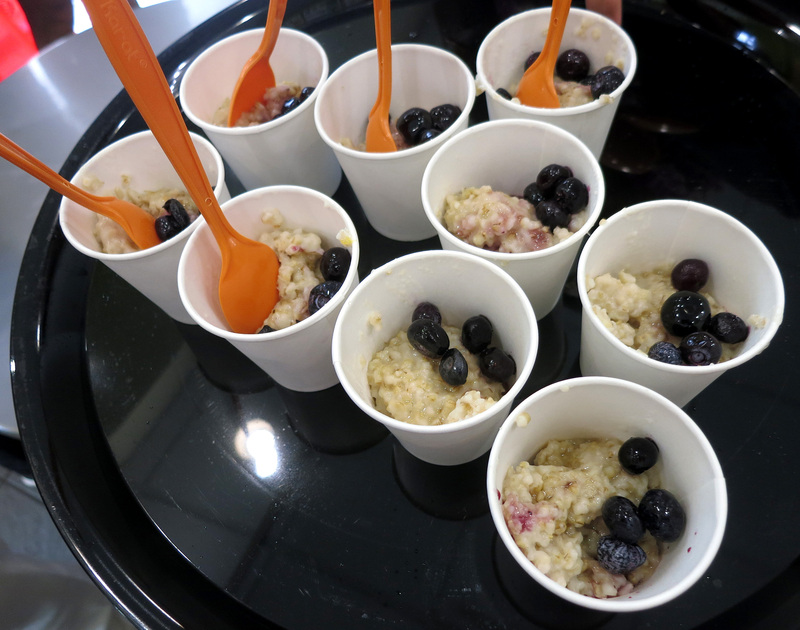 While I didn’t second-question it, there wasn’t any Acai Bowl samplers handed out, which I thought was going to happen. At least I didn’t see any, nor did anyone I was talking to throughout the morning have one to try. 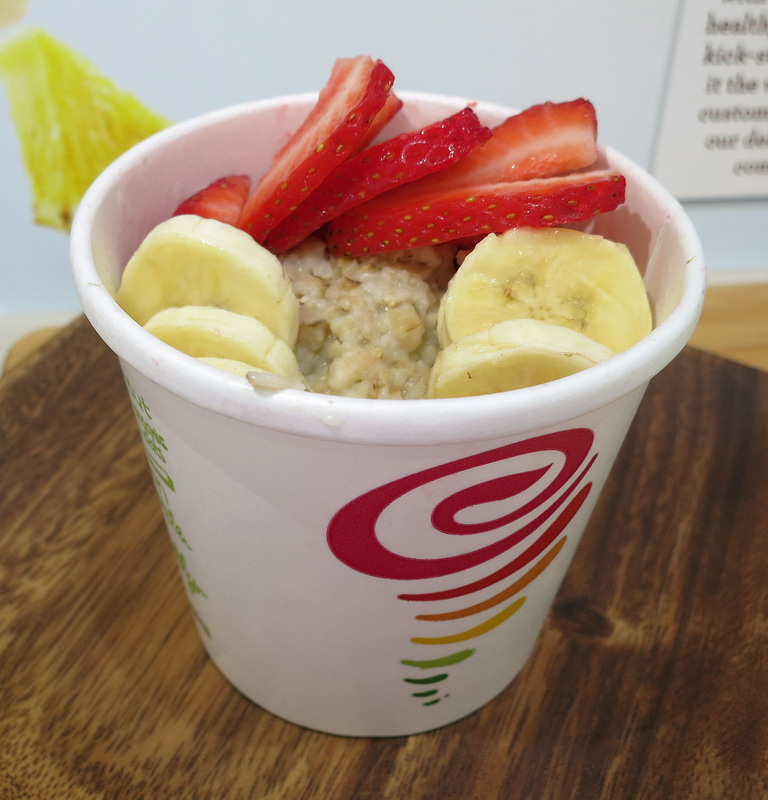 But that’s OK, they gave each of us a gift card, so I can go back and try a “fully loaded Hawaiian” Acai Bowl, compliments on Jamba Juice Hawaii. Yay! Following are photos of various folks at the event. 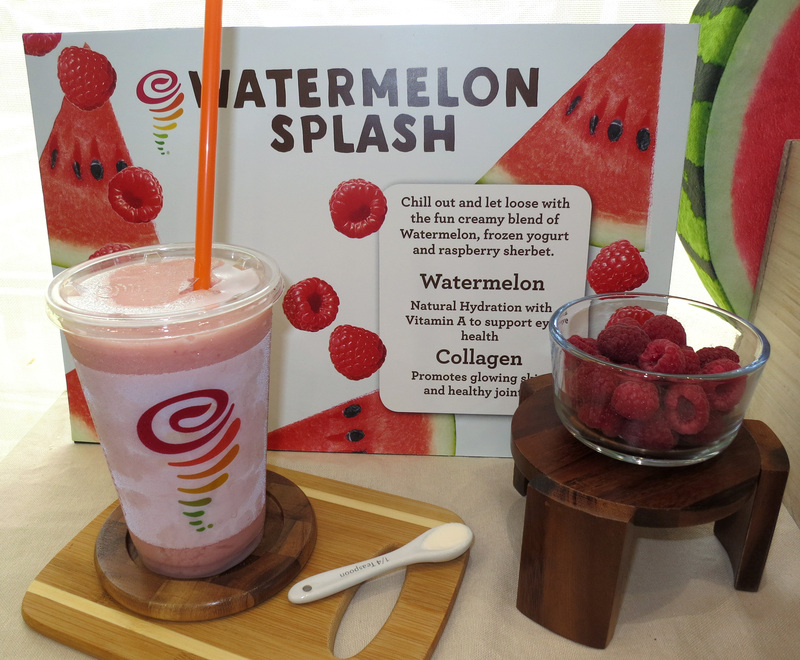 Summing it up, if you’re a Jamba Juice fan, definitely try their new Watermelon Splash and Watermelon Breeze smoothies, pre-boosted with Collagen. While it’s not likely to make you look like Pam Anderson or remove age-related skin wrinkles anytime soon, it’s really ono! Highly recommended! 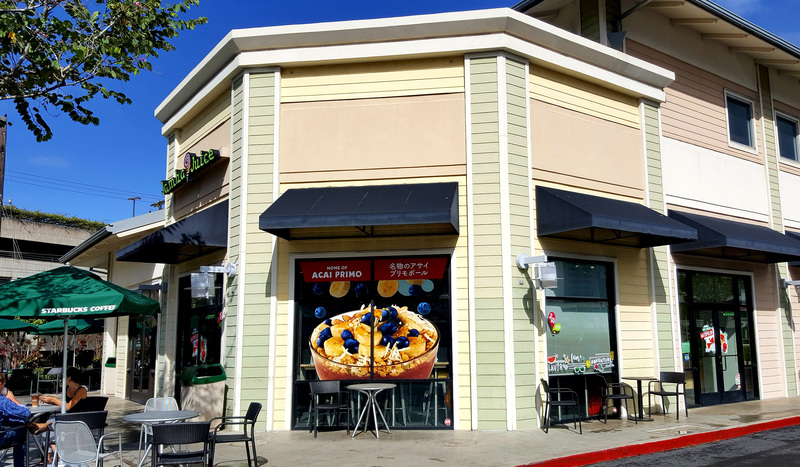 Founded in 1990, Jamba, Inc. is a leading restaurant retailer of better-for-you, specialty beverage and food offerings, which include great tasting, whole fruit smoothies, fresh squeezed juices and juice blends, hot teas, and a variety of food items including hot oatmeal, breakfast wraps, sandwiches, Artisan Flatbreads™, baked goods, and snacks. 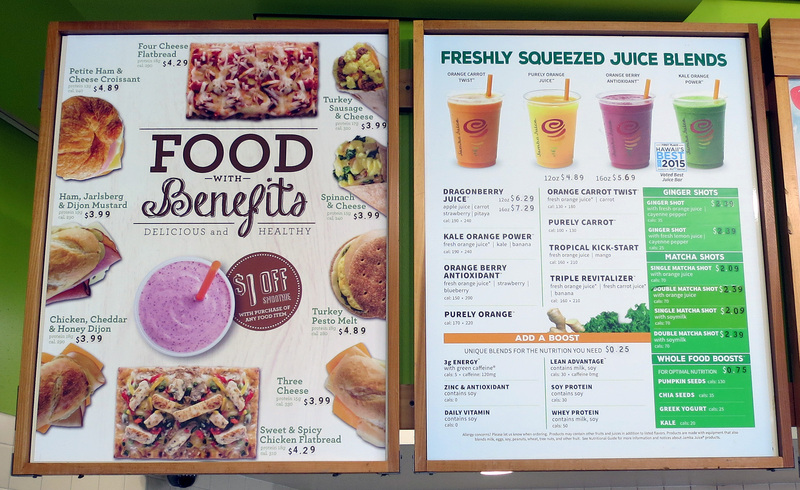 As of January 2017, there are more than 900 Jamba Juice locations worldwide. 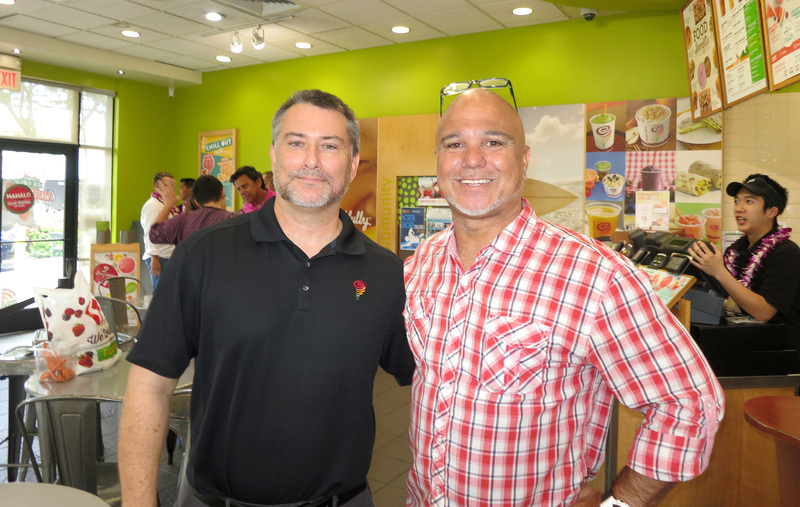 Jamba Juice Hawaii has 36 stores operated by JJC Hawaii, LLC, an authorized Jamba licensee; across Oahu, Maui, Kauai, and the Big Island. 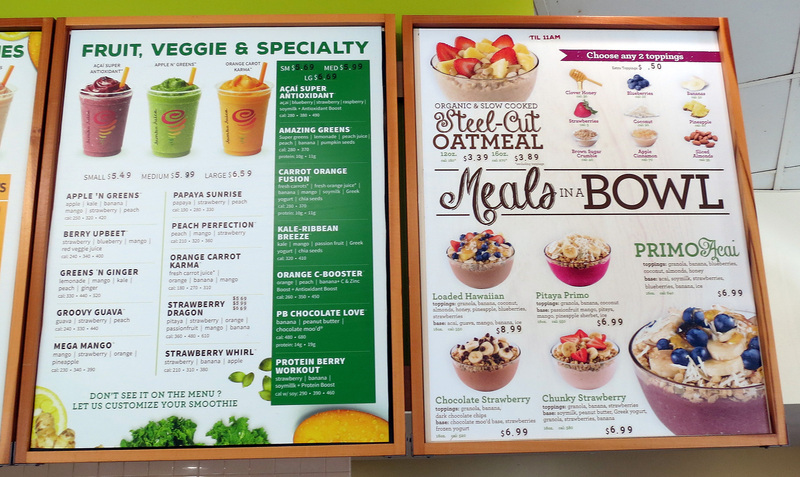 Jamba Juice Hawaii is the category-defining leader in all-natural, made-to-order fruit smoothies, juices, acai bowls and other snacks for health-conscious consumers with discerning tastes. 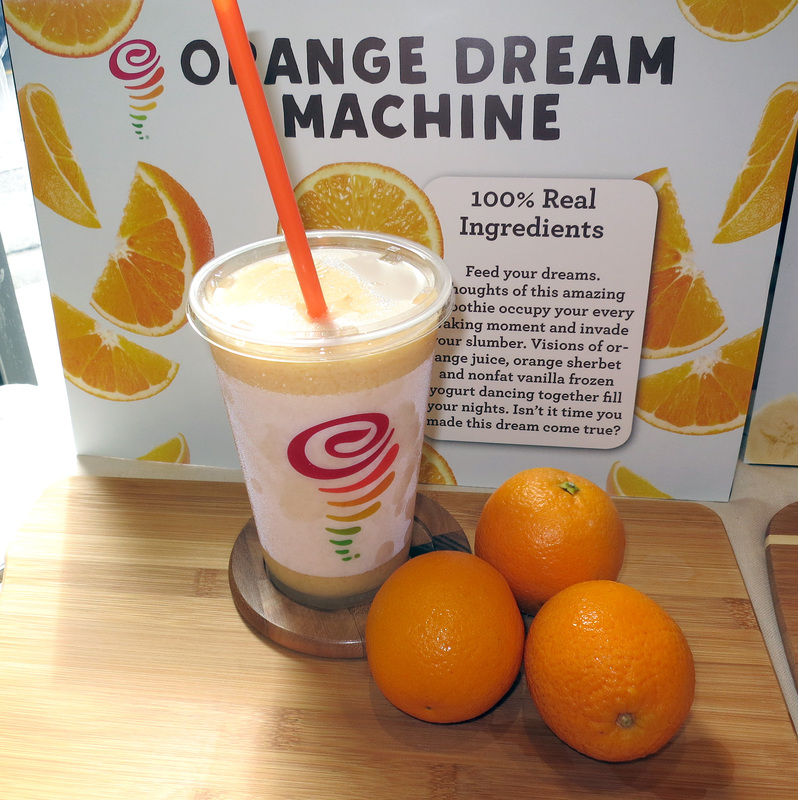 Jamba Juice smoothies are packed with 4-5 servings of fruit and loaded with vitamins, minerals, fiber and other nutrients. 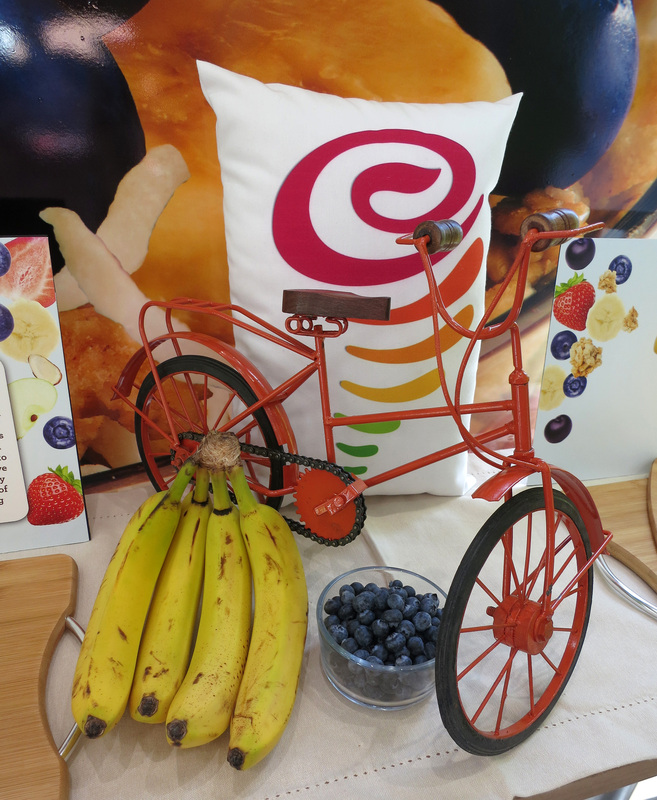 Visit www.jambahawaii.com for store locations and more information. I think they need to make more information about the collagen available to consumers. While watermelon and cucumber sounds like a delicious blend, the last thing I want to wonder about a juice drink is whether or not it’s suitable for vegetarians. Watermelon, cucumber and pasteurized bovine hide is out of the question for me, and I’d be mighty upset if I got in a few sips before bothering to look it up. Hopefully it’s vegetarian collagen, but I don’t know if that exists. They didn’t go into details about the origin of the collagen at the presentation event, however I did look it up, and yes, most collagen supplements are derived from animals, fish and shellfish, while there are vegetarian collagen alternatives. 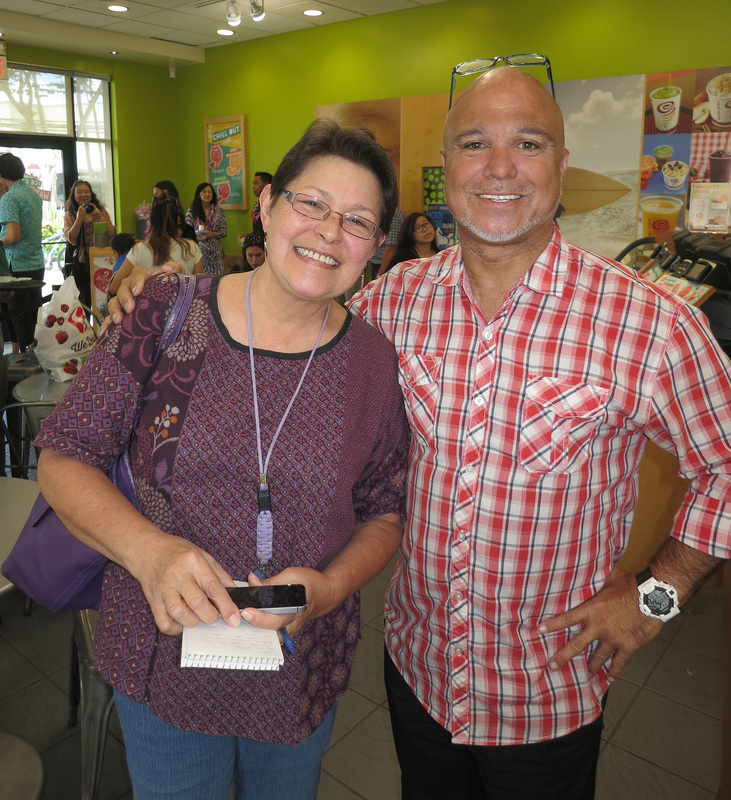 I’ll try and contact someone from Jamba Juice Hawaii and ask whether their collagen is vegan or not. I would hope somehow it is, being their customer base is probably largely vegetarians, or oriented towards that. I’m curious why you can’t consume watermelon and cucumber. It was the bovine hide collagen that was out of the question. Watermelon and cucumber sounds delicious. Actually just plain cucumber would be awesome too.